Congress seeks to capitalise on Patidar anger in Gujarat. But will this alienate Dalits and others? With Gujarat assembly elections only a year away, the Congress is stepping up its efforts to woo the Patel community that has raised the banner of revolt against the incumbent BJP government. The Patel agitation, that has been going on since July 2015, has given Congress a glimmer of hope of ending the two decade long rule of the BJP which is battling strong anti-incumbency and infighting within its ranks. Results of the recent panchayat elections and emergence of Aam Aadmi Party have further strengthened its belief of finally upstaging the BJP in 2017. In wake of this growing disenchantment, Congress vice president Rahul Gandhi recently held a closed door meeting with Patel leaders of the state unit to formulate strategies to win over this crucial vote bank that has in the past overwhelmingly voted for the BJP. Siddharth Patel, former state president and Congress' Patel face, led the delegation of Patel leaders and had a long meeting with Rahul in presence of senior leader Ahmed Patel. During the course of the meeting, those present were given charge of Patel dominated districts and identify possible candidates from the community for the next elections. They were even asked to conduct membership drives to accommodate Patels in the party fold. In the past, Congress has been tacitly providing support to Hardik Patel, leader of the Patidar Anamat Andolan Samiti, and had even given tickets to wives of some of the leaders of the Patidar agitation in the recent panchayat polls. With its foot on the accelerator, the party is planning to go full throttle to court this powerful community. Confirming these developments, Arjun Modhwadia, former Gujarat state unit Congress president, said that talks are on with Patel leadership, including Hardik Patel. He is confident of a repeat of the recently held panchayat elections, in which Congress managed to make a sizeable impact. "The results combined with recent protests have given party workers hope of upstaging the BJP," he said. Even emergence of AAP has further strengthened Congress' claims as it is likely to cut into BJP's urban voters, especially the middle class, that played a decisive role in making Arvind Kejriwal an enigma. However, the situation on ground is far more complicated. Political analysts say Patels have always been anti-Congress and the likelihood of them rallying behind the party are bleak. They cite the KHAM theory in defence of their claims. In the 1980s, Congress under the leadership of Madhavsinh Solanki pushed forward the KHAM theory and wooed the Kshatriyas, Harijans, Adivasis and Muslims. Since then Congress alienated the Patels who became the backbone of BJP's repeated electoral triumphs. "Ever since then Patels have never identified with Congress and it is likely to remain so in coming days," said Yamal Vyas, senior BJP leader from Ahmedabad. He went on to add that Congress has been the strongest in central Gujarat and at most BJP could lose 10% of its votes, but that he says would have negligible impact on state's politics. Even the Patels don't see Congress wresting power from BJP and in these circumstances they will go with the party that is likely to win. "Patels are no longer poor farmers and over the years have become industrialists and businessmen and if they believe Congress is not coming to power, they are not likely to back the party," said senior journalist Prashant Dayal based in Ahmedabad. "Most of the urban voters have this perception that voting for Congress is like voting for Muslims which is detrimental to its prospects of staging a comeback," he added. However, Dayal does concede that BJP will certainly see a dip in its vote share resulting in lesser number of seats as compared its 2012 tally. "But, that won't stop BJP from coming to power. They might lose 20 seats and still win 100 seats which is enough to form the government," he added. Congress is likely to gain some seats in the Saurashtra region which is the fountainhead of Patel and Dalit protests and sends 48 legislators to the assembly. "We will lose some seats here, but even Congress can't win all. But, if Congress goes all out to woo Patels, it might lose support of other communities that have voted for it in the last two decades. Whatever support they have in central Gujarat will also wean away with this strategy," said Vyas. This would particularly be the the case with Dalits, who have historically faced violence from Patels. Vyas goes on to add that it is not Congress but AAP that has the state unit a bit worried. AAP has quietly been making inroads in the state wooing the middle class. In these circumstances, if there is a split in the votes in urban areas, Congress is likely to benefit from this AAP-BJP rivalry. BJP has every reason to be worried. After all, the party won more than 60 seats in urban areas with a margin of 3000 votes or more in 2012. "If AAP manages to split urban votes, it will benefit Congress," added Dayal. Even BJP is not ruling out the possibility of young voters swaying towards AAP. "The new generation, especially ones below 35, has only voted for BJP in the last few elections and they are not particularly happy with its functioning. They don't see Congress as an alternative and are likely to go with AAP," said the BJP leader. Moreover, Modi's absence from state politics has raised hopes of BJP's political opponents who see this as an opportunity to erode BJP's vote base and conquer power. But, they are wary of BJP using tried and tested formula of Hindutva and hyper nationalism with which it has been able to transcend all caste and class barriers. TWEET THIS Rahul Gandhi holds closed door meeting on Gujarat. 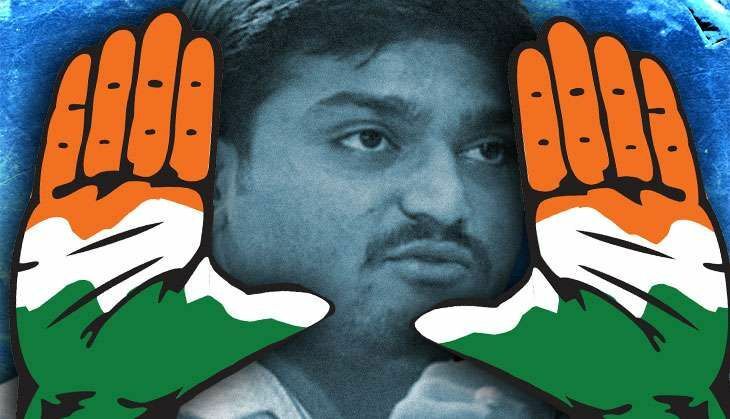 Congress may strike a deal with Hardik Patel Congress seeks to capitalise on Patidar anger in Gujarat. But will this alienate Dalits and others?